Yesterday, Green Oil Solutions announced breaking news. They are the first company in the US to create ASTM certified bio diesel from the seeds harvested, crushed, processed utilizing the certified process from Smart Fuel Florida, LLC. Already tested and accepted by the Navy for JP-4, JP-5, and JP-8 jet fuels, Camelina has been a crop of interest in the last couple of years. There are a handful of companies that have been testing the high end capabilities of the fine fuel produced from the plant seeds. The lower portion of the fuel ladder had largely been ignored by the emerging industry, until now. On October 18, 2011 and independent lab, Midwest Laboratories, was utilized to certify fuel processed into bio diesel from the Camelina crop grown throughout Florida. ASTM D93, ASTM D2709, ASTM D 130, ASTM D664, ASTM D6584, and ASTM D4176 have all been awarded to fuel created by the cooperation of Jack Melton Family, Inc, Wise Seed Company, Smart Fuels Florida, LLC., and Green Oil Solutions, Inc. This marks a first in history and the creation of fuel crop that can be scaled to provide feedstock that can then be produced not only into jet fuel but into ASTM certified consumer fuels. Scalability will be the question. The challenge, now that the potential is proven, is to create the infrastructure and political climate to build this emerging industry that has the potential to create thousands, possibly tens of thousands of jobs and at the same time reduce our dependence on foreign and fossil fuels. 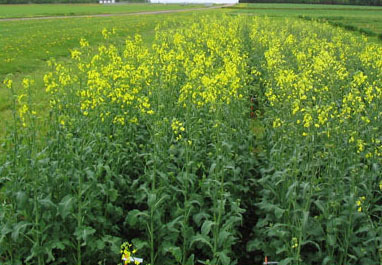 Camelina has the potential to be the next energy crop, but it will not be the single answer. There will be a variety of alternative solutions that need to be employed. Energy crops for bio diesel are different from ethanol crops and hydro, solar, and wind will have significant contributions to our domestic energy portfolio. That being said, sustainable, easily scalable, reproducing crops will be a major part of the solution not only for energy and environment, but also for economy and jobs. The team at GOS measures our success one solution at a time. ← Are we the chicken or the egg?